DO NOT PURCHASE - WE PAY FOR UNLIMITED INVOICES BUT WHEN WE GET TO 5 - restricted and ask to upgrade AGAIN. This has happened for several months!!! THEIVES - JUST WANT MORE MONEY - WHEN WE PAY FOR UNLIMITED INVOICES. HORRIBLE BUSINESS PRACTICES. I use this app daily for billing and estimates in my HVAC & Electrical Contracting business. It integrates well with Quickbooks. The one feature I'm looking for has yet to happen, when in does I'll give 5🌟—two way syncing on invoices marked as paid. Currently, if I mark them paid in InvoiceASAP, they import into Quickbooks as paid. However, if I mark them as paid in Quickbooks, they do not import back into InvoiceASAP as paid. I have to do that manually. I love this app! 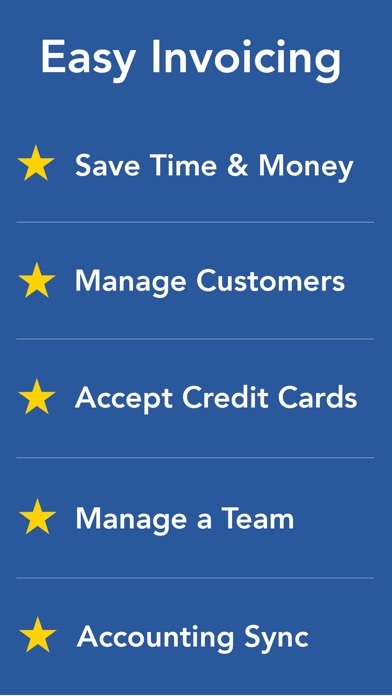 Is the best app for bussines. Very functional! Great app. I had it for like 9months . Always new updates . Good invoice product with easy to use features. Excellent invoice format. Be cautious of the new Square integration feature. I have found it unreliable and had to stop using it. Needs more testing. But by all means, if you need basic invoicing, go for it. I was looking for a simple way to make invoices on the road for my customers w/o having to carry my lap top. This app makes it easy and works well and when I get to the office I can put information into my quick-book program on my lap top safely keeping proper track. Great app, simple to use and works great with my iPad & Phone. They charge monthly for the App. It's not worth it. Love this app and customer support response! they have improved their product according to customer suggestions. I have been using this software for years for my business. It works flawlessly. Period. I have the option of working on iPhone, Mac, pc, iPad and so on. I frequently swap devices depending on where I am and what I am doing that day. Never an issue. Take up where I left off. Customer support is phenomenal. Overall I highly recommend this software. You simply cannot beat it for functionality, ease of use, layout and customizable options to suit your business. It's a good idea and some functions work good but it has lots of issues. Customer service is non existant!!!! I have sent a few emails and no replies! I have called (no answer of course) left voice mail and no replies! When syncing app sometimes syncs with errors and you have to try and locate the issue. Very frustrating! When syncing with quick books it will randomly give a different part number to the invoice and it messes up inventory. My customers love the whole concept and to attach pictures and signatures is great idea. But from the user end it needs work! Best business app ever!! It saves me so much time and money. I use this to run my whole business. I've had 3 other invoice/estimating apps and each lacked multiple things. InvoiceASAP has so far been the best of all. Very happy with it. 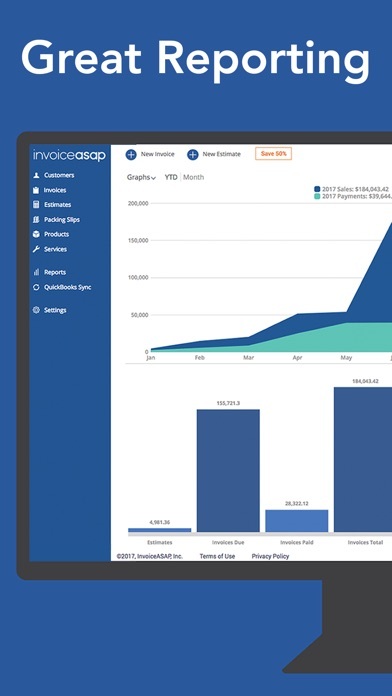 Great way for professionals to look professional and manage your invoices. Fast and easy!! Try it! It took a little getting use to but well worth it! 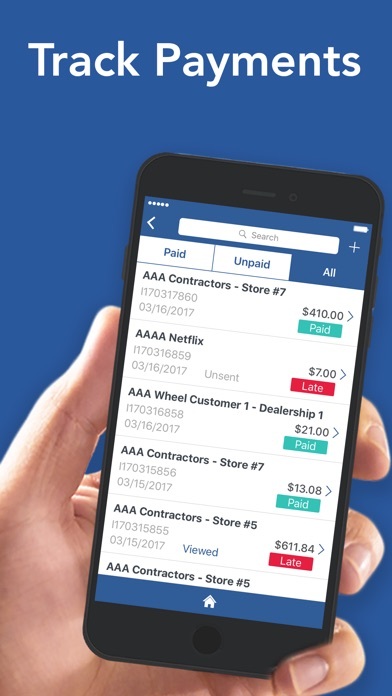 I do everything from billing to estimates for my business with this app. No more filling invoices or looking for estimates everything is on all my devices and office computer, great investment. Take the time to learn how to work all the options. Now they want you to subscribe and pay a monthly fee for using it. It's not even that great anyway. Getting a new app ASAP. Buy buy. Sorry, not getting my personal info. I don't understand this people that it's saying not easy to figure out??? Come on guys.... This application is great works well and very fast. I love the way it sync's between the iPhone and iPad and so on, great customer service from Paul, if this application had a way to keep track of time / hours on the job and crew time I would pay $50 for it. Great job... For those who are complaining about app not being free. What's wrong with you guys.. How can anyone work for free. The app is great I'm very happy with it. 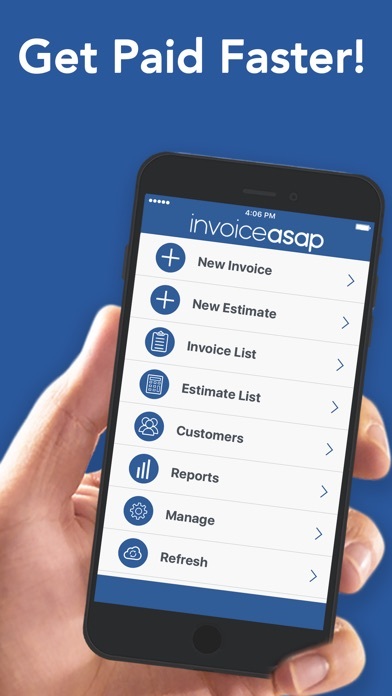 I have used ASAP Invoice for 3 in a half years and must say, it is the best application For business owners. My company completes lots of deliveries which allows us to print out the shipping paper and have our driver request signatures right on the spot. The payment options are extremely easy, the setup is great and clean. Will be forever a customer. Thank you! Nice app work @ 100%, status, invoices, quotes you can do a lot even reports per clients!!!!! Great app no other one like this one. Love it. Attach pictures to estimates and wow customers. 2 way sync coming beginning of February and ability to enter captions to pictures, home run. Would like for pictures to automatically open when customer views the estimate; would be a grand slam!!! Perfect for my mobile business,everything works flawless with square integration made it the best mobile invoicing app I've tried only thing needed now would be sending invoices via sms. This app is worth every penny!! Excellent invoicing system!! I really like it. That's great for Mobil invoice, I even use it at home too. That's super good. Simply, the best app for invoicing on the market! With the latest update, it just got better! Our ability to create, edit and send estimates as well as invoices on the go has definitely increased our sales! Great app! I have been using this app for about 35 days. I run a mobile service company and this is awesome. It's paperless and it looks professional and my customers are constantly saying how much they like it. With this update you can now search not only by customer name but also by the customers address. This was huge for us. Great job guys keep up the great work!!! I have been using invoices ASAP for about a year and a half and I love it. This app seems very well polished and professional right from the start. 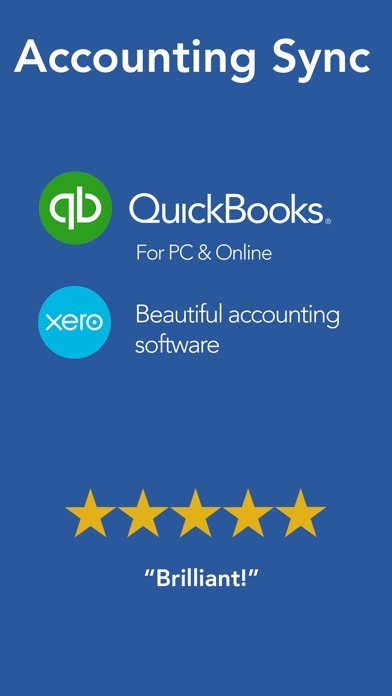 It syncs with Quickbooks Pro and everything works as you would expect. My expectations have been exceeded all around. Thank you!! I like to the app can be used on my PC and on my phone and they sync - very professional easy to use! I just wrote a very informative review for this app, but it was deleted when I pressed send. The short of it is, don't trust them. After being billed on October 24th for my subscription (please note, this isn't a free app like it says. You have to subscribe to use the features), I now get a pop up that says I need to upgrade (again). I contacted customer service many times, and although they were very responsive, I felt like instead of trying to fix the issue, they tried to place the blame on me. I sent a screen shot of my subscription payment (which is automatically done they iTunes) and they told me they don't have access to my iTunes and thus have nothing to do with that. They offered for me to pay again....very nice of them. This app is not for me. I will be moving on. Using this app for last few years. Always worked great. Right now is very slow, takes 20 sec to open a new page. Editing products is not possible once you create it. Can not reorder once you add it. I am paying for this app, and expect to work!!!!!! I like this app a lot but the one issue I have is that you cannot send a PDF attachment through the phone app or iPad app. When I asked about it customer service told me to log into my invoiceASAP account through a computer which doesn't help me when I'm on the road constantly and need to send invoices through my phone. Especially one company that I consistently work with in the film industry that refuses to accept invoices via a link that they have to download, but will only except it as a PDF attachment. So I hope that InvoiceASAP would get that option in the phone app for us to send invoices directly as a PDF attachment.